Cycling kit doesn't have to mean Lycra, tight fitting jerseys, and marginal aerodynamic gains. For many, riding a bike is simply a way of getting around town; or even just getting out in the great outdoors. For this more utilitarian and casual kind of riding, the Vaude Men's Cyclist Shorts and Vaude Sentiero Shirt are ideal clothing choices; especially when partnered with the Vaude Yara TR Bike Shoes that I have reviewed recently here on the blog. This is everyday wear, with design considerations that make it ideal for riding a bike. 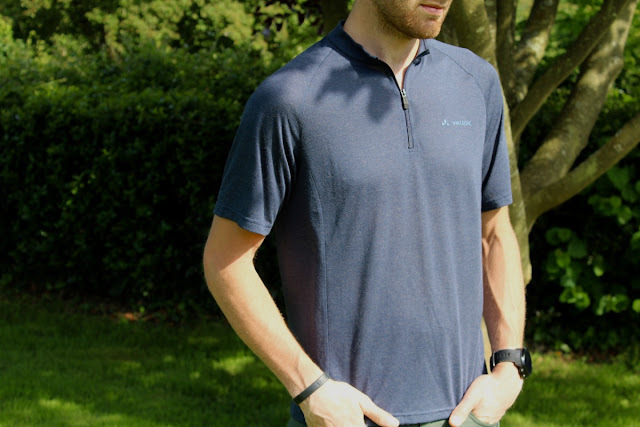 The Vaude Sentiero Shirt is designed to look as at home off the bike, as it is to be practical and comfortable whilst riding. The merino mix fabric provides a soft-touch feel, as well as a more natural appearance than polyester riding apparel. Merino wool also has the well-touted characteristic of being more resistant to bacteria build-up than synthetic fabrics; so it is less likely to smell unpleasant, making it ideal for commuting and casual riding. 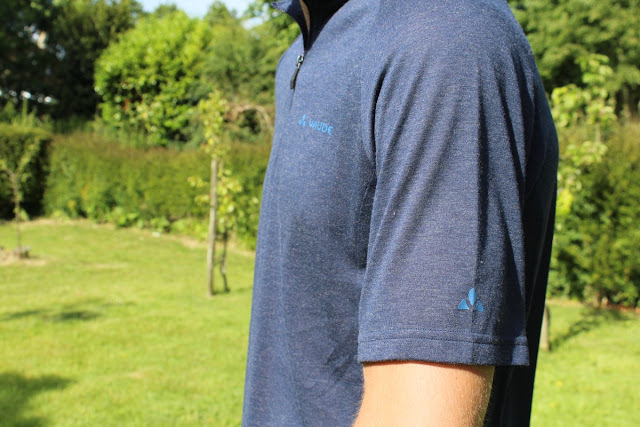 The classic collar and chest length front zipper on the Sentiero jersey make it look as much like a smart polo shirt, as a dedicated piece of riding kit. Equally, the looser and more relaxed fit, mean you can feel as confident and in character walking around town, as you would out on a bike ride. Despite the casual styling and relaxed looks though, the Vaude Sentiero cycling jersey has some clever sport-specific details to the design. 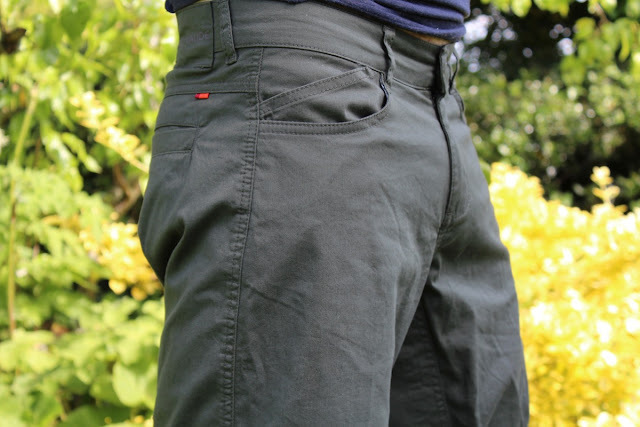 For example, on the rear of the shirt you get two pockets, which are handy for valuables when jumping onto the bike for errand runs. 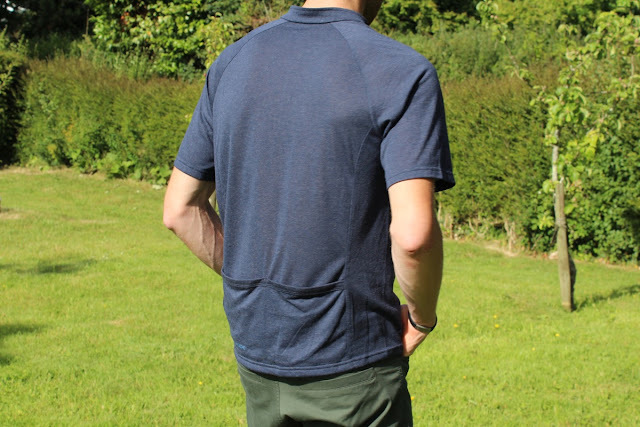 The cut also features a slight drop to the rear hem, to allow better coverage whilst in the riding position. There are even reflective elements on the shirt, for a bit of added safety in low light conditions. 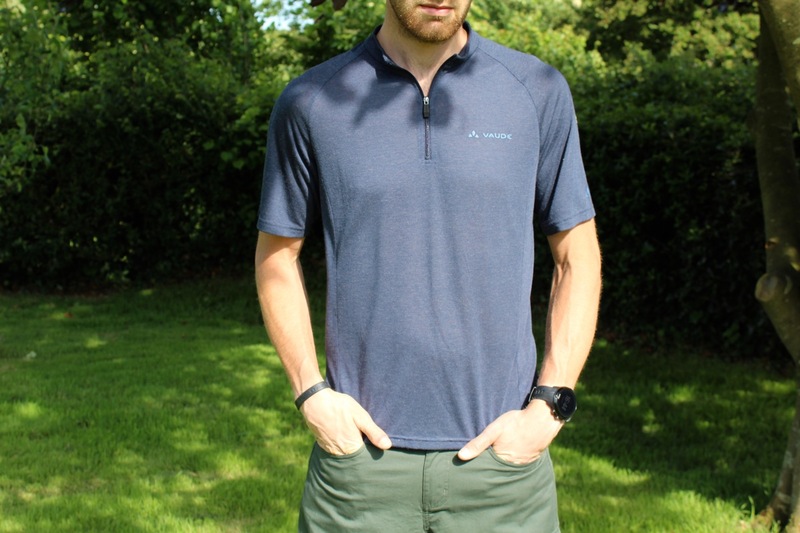 A smart, practical and high quality top; ideal for touring, travel and everyday wear. Even if you are a dedicated cyclist, you are unlikely to feel comfortable wearing Lycra in a lot of social settings. 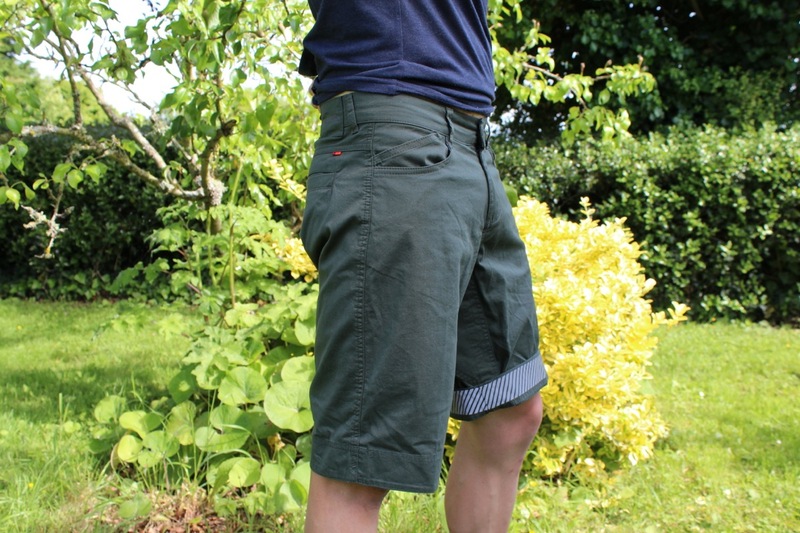 Your average pair of chino trouser shorts can be restrictive and uncomfortable for riding in though; that is where a pair of cycling-specific casual shorts like the Vaude Men's Cyclist Shorts can be worthwhile investing in. At a casual glance, the Men's Cyclist Shorts look like a smart pair of cotton summer shorts. That is because they are; but they have also got some neat adaptions to make them more suitable to clocking up miles in the saddle. 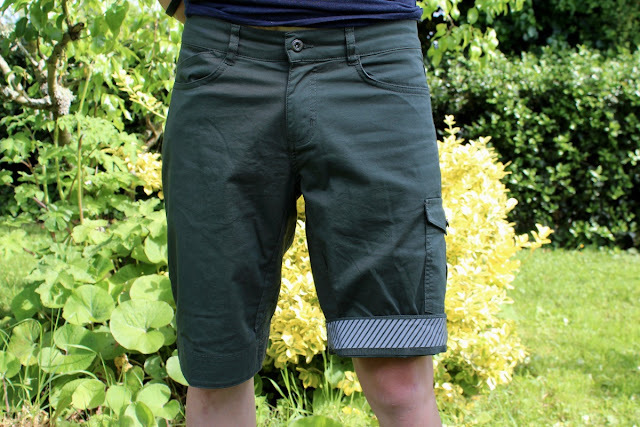 The material is mainly organic cotton, but with a little elastane in the mix too, which adds a notable stretch to the shorts. The waistband is slightly lower on the front and slightly higher on the back of the shorts; so it doesn't dig in when riding. Then there are also neat features like the reflective detailing on the roll-ups of the hem, and angled pockets to stop valuables falling out. The Men's Cyclist Shorts are smart, comfortable and made to the usual high standard of Vaude apparel and kit; they should look the part on and off the bike, for many miles and hours of wear.